MacRumors was notified by its readers who bought the white iPhone that they have noticed that it’s slightly thicker than the black version. Because of this as people reported, the white iPhone 4 doesn’t fit in cases which were made for the black version the iPhone 4. Later a guy named Ryan Cash compared his black iPhone 4 with a colleague who bought the white model of the iPhone 4. He noticed the how thicker the white iPhone 4 is compare to the black iPhone. 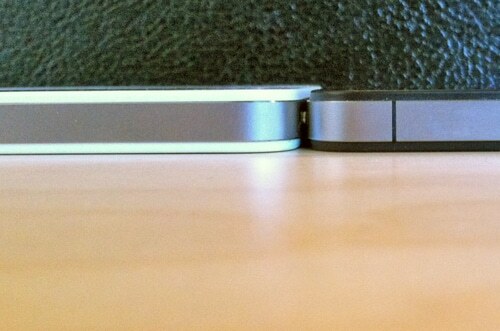 Ryan decided to compare both phones side-by-side on a desk. 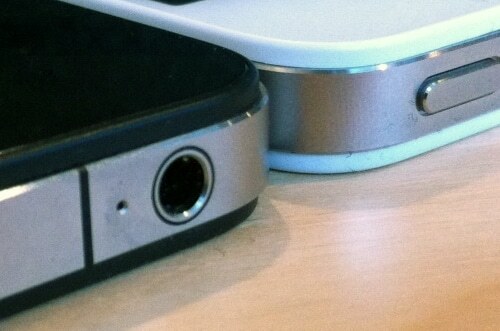 It’s a little hard to tell from the photos, but it’s the plastic white part (not the aluminum) that’s thicker.